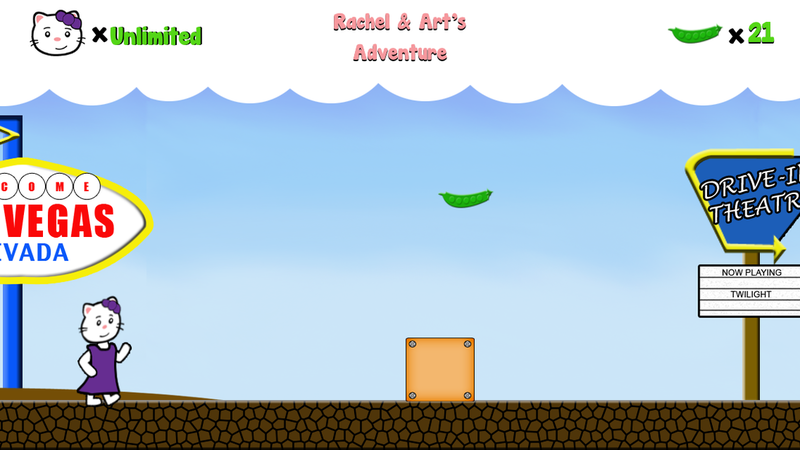 Rachel and Art's Adventure is an iPhone game I developed in the Fall of 2012. 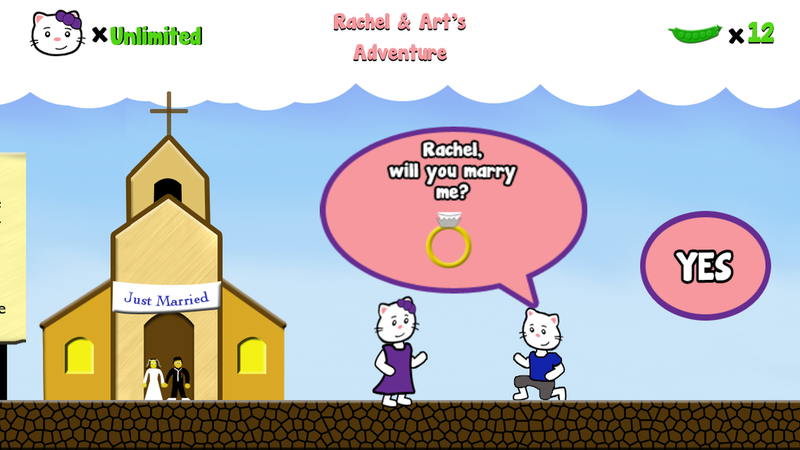 The game and graphics were custom made for a client who used the app to propose to his girlfriend who loves mobile games. The game is pretty simple and short; the character traverses the level collecting snow peas and passing sites that my client visited with his girlfriend in the past. This was one of the more fulfilling and fun projects of my career.